Vitality is hoping to help get its members up and running throughout 2019, with a new partnership with running specialist, Runners Need. The new partnership will provide Vitality members with 50 per cent off one pair of running shoes every year, ensuring they have quality kit when keeping active. Nick Read, Managing Director of the Vitality Programme, said: “The beginning of the year is a time to look forward to the next 12 months and put in place goals that will get you more active and feeling healthier, but it is important people have the support to make it a reality for more than just a few weeks in January. At Vitality we are continually looking to partner with relevant brands to support our members to keep active and our new partnership with Runners Need will do just that. Vitality has also seen 13 per cent more people braving the cold this month to take part in Parkrun compared to any other winter month in the latest data available from their sponsorship of the weekly free run that runs in locations across the UK. 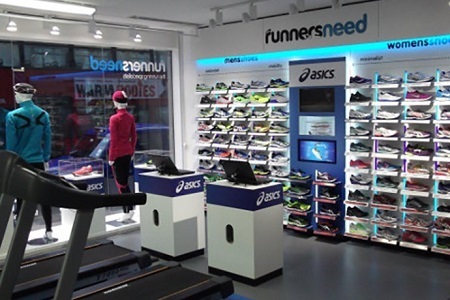 Runners Need, established in 1982, has been helping people to train, run and keep fit for over 30 years. They offer top sportswear brands, quality kit and expert advice from people who love to run. They also offer customers free gait analysis and fitting, as part of their service. Vitality offers a range of discounts for members through their partnerships which make accessing and achieving a healthy lifestyle easier. These range from healthy foods and health screens to travel and discounts for staying active. The partnership with Vitality and Runners Need officially launched on Friday, January 11, 2018, with Runners Need instore benefits to members effective from this date. For more information about the partnership visit the Vitality website.